Sessions take place outdoors in the evening around sunset, where we can take advantage of the beautiful golden light. I believe it makes for truly unique and gorgeous photographs that will look stunning on your walls or in a beautiful lay flat album on your coffee table. For those who have young children with early bedtimes, consider a sunrise session instead, where we can capture the same magic as a sunset session. Spring and Summer sessions take place between 7-9pm and Fall sessions take place between 4-6pm. I typically do not photograph families from January through March. 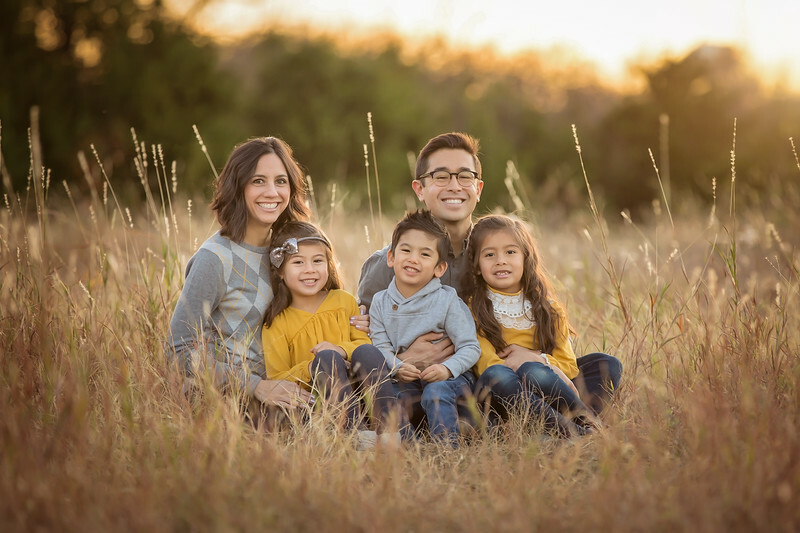 When booking a family session with me, it is a very simple and smooth process. My pricing is all inclusive, which means there are no extra or hidden fees after booking, and in addition to your session, you will receive full resolution digital images based on which collection you choose. A 50% retainer and a signed contract are all you need to set a date on my calendar. * A 50% non-refundable retainer is due upon booking to reserve your spot on my calendar. The remaining balance is due in one day before your session. Please contact me at least 24 hours in advance if you need to cancel or reschedule. Prices subject to change at any time. Your booked session fee will remain the same.